At Nowell Steel, flame cutting is what we do. With well over 150 years of combined experience, our team of machine operators produce “second to none” quality flame cut parts. The majority of parts we cut range from ¼” through 12” thick and always meet or exceed industry standards. With our 10 multi-torch machines, we have the most flexible lead-times in the industry. 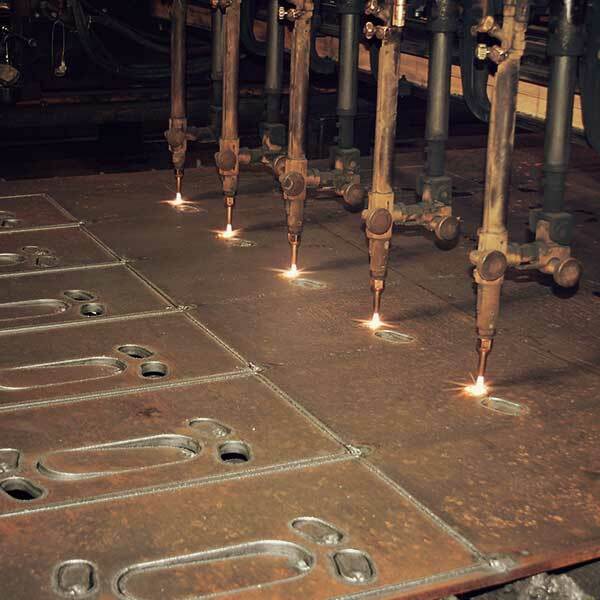 Taken together, our 45 years of flame cutting experience and our extensive capacity makes Nowell Steel the number one choice for those who want their flame cutting requirements processed accurately and quickly.